prayed with. They would never truly busy themselves in worship or the remembrance of Allah Ta’ala. My Beloved Prophet sallalaho alaihe wasallam’s beloved devotees! These are all forms of carelessness, and a true believer should save himself from all of them. The author of Rooh Ul Bayaan says that this verse refers to the hypocrites that do not pray and the Muslims that are transgressors (fasiq). In the verse Allah Ta’ala says that there is a place called “Vail” for people that are careless about their prayers. In the blessed Hadith it states that “Vail” is a valley in hell. If all the mountains of the world were put in there, they would all melt because of its intensity and heat. This valley is for those that are lazy about their prayers and do not pray at the correct times. My Beloved Prophet sallalaho alaihe wasallam’s beloved devotees! Have you seen the fate of one that misses prayers? If we cannot find the time to bow before our Merciful Creator who provides us sustenance, then this will be our fate as well. If you want to save yourself from the punishment of hell then ensure that you do not miss prayers. May Allah Ta’ala guide us all guide us all to perform our prayers. My Beloved Prophet sallalaho alaihe wasallam’s beloved devotees! The Prophet’s alaihimus salaam, were always aware of the Magnificence of Allah Ta’ala and His anger and their eyes were always moist with tears. However, many people came after the Prophet’s alaihimus salaam that threw away the practices of the pious predecessors. Never mind desirable or preferable acts; they threw away a great compulsory worship like prayer (Namaz). Either they did not agree that it was a compulsory worship, or they did not want to go through the trouble of fulfilling it. Never mind fulfilling it, they did not even respect the orders and commands of Allah Ta’ala but were too busy in fulfilling their desires. They must remember that they will have to pay for their crime. My Beloved Prophet sallalaho alaihe wasallam’s beloved devotees! Allah Ta’ala has mentioned three things in this verse. 1) They missed their prayers; By missing their prayers and by their carelessness they became transgressors (fasiq). Or they prayed it incorrectly or at the wrong time and became misguided. Or they prayed it correctly, but because of backbiting, gossiping, jealousy, and envy, their good deeds were wiped away. These are all different forms of missing the prayer. 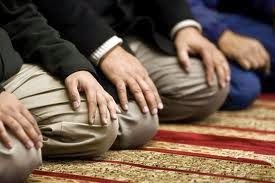 Hazrat Abdullah Bin Mas’ood radiallaho ta’ala anhu says that missing prayers does not only mean to completely miss the prayer, it means that they delayed praying it, that is, prayed it late. 3) The third thing that is mentioned is that they will be thrown into “Ghay.” This is a lowly valley in hell and because of its punishment the other parts of hell ask for safety from it. It has also been described as a very deep well or a deep stream containing puss, urine and excrement, in which the people of hell will be punished. Remember this punishment is for the person that dies without asking for forgiveness. My Beloved Prophet sallalaho alaihe wasallam’s beloved devotees! Allah Ta’ala gives us sustenance. He has given us life and has ordered us to pray five times a day. How ungrateful is a person that eats the sustenance that He has given us, takes advantage of the life that He has given us, but does not bow down his head to Him? That is why we are reminded that the first thing that we will be asked about on the day of judgement is our prayers. Therefore we should be punctual in our prayers so that we are not shamed on the day of judgement and we can be blessed with respect in the court of Allah Ta’ala. May Allah Ta’ala make all our accounting easy through the waseela of His Beloved Prophet sallalaho alaihe wasallam. Aameen. My Beloved Prophet sallalaho alaihe wasallam’s beloved devotees! If a child drops something expensive at home, we get angry and shout at them. If a child or someone else breaks an expensive possession we lose control. Please tell me, is there anything more valuable than our faith? Today, all members of our household are destroying their faith five times a day, but we don’t get upset at this because we are guilty of the same crime. My Beloved Prophet sallalaho alaihe wasallam’s beloved devotees! Rasool Allah sallalaho alaihe wasallam has proclaimed that prayer is the pillar of our faith and one who does not pray is called a destroyer of faith. No Muslim would ever desire that he should be classified as the destroyer of faith. Therefore try to be a builder of the faith by being punctual in prayers. May Allah Ta’ala guide us all to establish prayer. Aameen. My Beloved Prophet sallalaho alaihe wasallam’s beloved devotees! This Hadith tells us that we will be surrounded with light, from the grave to the bridge (Pul Siraat). This bridge is thinner than a hair and sharper than a sword and we all have to cross over it. At that point our prayers will act like light showing us the way. The prayers will testify in Allah Ta’ala’s court about the sincerity, truthfulness and faith of one that prays punctually. And Allah Ta’ala forbid, if a Muslim does not pray, his accounting will be with those that are trapped in the punishment of Allah Ta’ala. Their crime was that they did not bow down before Allah Ta’ala because of pride and arrogance and claimed to be God themselves. (Ma’azAllah). Now tell me, would any Muslin wish that his accounting is done alongside such enemies of Allah Ta’ala as Fir’aun and Haamaan? If not, then seeks Allah Ta’ala’s forgiveness today and promise that you will not miss any more prayers. May Allah Ta’ala guide us all to protect our prayers. Aameen. My Beloved Prophet sallalaho alaihe wasallam’s beloved devotees! Allah Ta’ala sent Rasool Allah sallalaho alaihe wasallam as the mercy to all the worlds. He came as the helper to all, from animals and birds to plants and stones; all are living with the assistance of Rasool Allah sallalaho alaihe wasallam. The Beloved of Allah Ta’ala came to fulfil the requirements of all, from the grave to the day of judgement we all need the lap and the benevolence of Rasool Allah sallalaho alaihe wasallam. Therefore it’s essential that we save ourselves from any act that causes this relationship to break. Who is there, other than the Mercy to the world’s sallalaho alaihe wasallam who can save us from the troubles of the hereafter? Rasool Allah sallalaho alaihe wasallam says, “Whoever misses prayers intentionally is not the responsibility of Muhammad” sallalaho alaihe wasallam. Allah O Akbar! If Rasool Allah sallalaho alaihe wasallam takes away his hand of benevolence, who is there that will be kind to us? Even Allah Ta’ala will not look at such a person with kindness whom Rasool Allah sallalaho alaihe wasallam has shunned. Do not miss prayers so that we can find shelter and comfort in the lap of the Mercy of the world’s sallalaho alaihe wasallam and obtain success in both worlds. May Allah Ta’ala keep the blessed shade of Rasool Allah sallalaho alaihe wasallam above each of us forever. Aameen. My Beloved Prophet sallalaho alaihe wasallam’s beloved devotees! Remember that the first thing asked about will be prayers on the day of judgement. Only if that is complete will Allah Ta’ala accept our other deeds. We should perform our prayers properly so that on the day of judgement Allah Ta’ala accepts our all our other deeds with it. May Allah Ta’ala guide us to perform our prayers correctly. Aameen. My Beloved Prophet sallalaho alaihe wasallam’s beloved devotees! If we have wealth, we take no chances in guarding it. We worry about where to keep it, how to keep it safe, how to increase it. We are forever worried about it. But we do not worry about our faith at all. Remember! No wealth is greater than the wealth of faith. There are numerous verses in the Qur’an and many Ahadith about safeguarding our faith. The Hadith above tells us that the person that intentionally misses prayer is close to infidelity, in other words, his faith is at risk. He has taken himself close to infidelity because of missing prayers; there is a danger that he will lose his faith too. Therefore, it is better if we safeguard our prayers and pray them punctually so that we can protect our faith. May Allah Ta’ala give us all death with faith. Aameen. Some scholars have explained why they will be raised with those people. If a person misses prayer because of wealth and possessions, he is similar to Qaroon, and will be raised with him. If it’s missed because of business of the country or administration, that is the same as Fir’aun, and will be raised with him. If prayer is missed because of government business, that is similar to Haamaan and such a person will be raised with him. If a person misses prayer because of business, that is similar to Ubai Bin Khalaf and such a person will be raised with him. My Beloved Prophet sallalaho alaihe wasallam’s beloved devotees! We are so busy in business, so proud of our accomplishments, and so busy in pleasing those in power that we forget about prayer. Beware! Do not become so engrossed in business that you don’t have time to prostrate to Allah Ta’ala. Otherwise is has been said that you will be with those people on the day of judgement who are disliked by Allah Ta’ala, and towards whom Allah Ta’ala will look at with anger. They are so disgraced that their names and their deeds will be cursed until the day of judgement and the bondmen of Allah Ta’ala and the slaves of Rasool Allah sallalaho alaihe wasallam seek refuge from them and their actions. These are the people that were mentioned by Rasool Allah sallalaho alaihe wasallam in the above Hadith and as soon as one hears their names there is a sense of hatred that comes over us. No lover of Rasool Allah sallalaho alaihe wasallam would want to be associated with such people; therefore we should all become punctual in our prayers, so that our judgement will be with pious people on the day of judgement. May He save us from being associated with the enemies of Rasool Allah sallalaho alaihe wasallam. Aameen. Rasool Allah sallalaho alaihe wasallam said, “The person that is lazy or does not join in the congregational prayer will be punished with 12 calamities by Allah Ta’ala. Three in this world, three at the time of death, three calamities in the grave and three on the day of judgement. The first calamity of this world is that his earnings will have no blessings. Secondly, The light (Noor) of the pious will leave him and thirdly, hatred for him will be put in the hearts of all believers. My Beloved Prophet sallalaho alaihe wasallam’s beloved devotees! Muslims are caught in many of the calamities that were mentioned above for those that miss prayers. The reason is that the congregational prayers are missed. If these are the punishments for those that do not pray with congregation, what will be the punishment for one that does not pray at all? The Beloved Prophet sallalaho alaihe wasallam has blessed us so much that he has given us the reasons for all our difficulties and has given us the solutions to all problems. Now it is our responsibility that we correct ourselves and be punctual in prayers and in congregational prayers, Insha Allah! Allah Ta’ala will remove all our difficulties. In another Hadith it is reported that, Hazrat Jibraael and Hazrat Mikaael alaihis salaam state that Allah Ta’ala says that the person that misses prayers is accursed in the Taurah, Zaboor, Injeel and the Qur’an. Allah O Akbar! Accursed here means that he is far from the Mercy of Allah Ta’ala. Who would go close to the person that is far away from the Mercy of Allah Ta’ala? And who will give him refuge? Therefore, be punctual in prayers and do not miss them in the future. May Allah Ta’ala make it easy for us to achieve this. Aameen. My Beloved Prophet sallalaho alaihe wasallam’s beloved devotees! We are not able to withstand a little mosquito bite and are troubled by its pain. Therefore, think that for missing prayers the punishment is snakebites. Who will be able to withstand that? Our state is that we believe in Rasool Allah sallalaho alaihe wasallam but do not have total faith in what he has said. Rasool Allah sallalaho alaihe wasallam has done great favours to us by telling us every aspect of the day of judgement and the punishments in the life hereafter. Now that he has told us that the punishment for missing prayers is being stung by a snake, and has told us the size and appearance of the snake, it is our duty to perform prayers and save ourselves from such a punishment. May Allah Ta’ala make us all punctual performers of prayer. Aameen. My Beloved Prophet sallalaho alaihe wasallam’s beloved devotees! Laziness in praying will result in flames in the grave as punishment. No relative will come into the grave to help us, therefore it is up to us to ensure that we pray on time and do not be lethargic about it. We should pray on time and pray with sincerity and presence of mind and body. May Allah Ta’ala save us all from the punishment of the grave and make our grave a garden from the gardens of paradise. Aameen. The father of Hazrat Umar Bin Abdul Aziz, Abdul Aziz, was the governor of Egypt. He gave his son under the guardianship of Hazrat Saalih Bin Kisaan radiallaho ta’ala anhu to obtain superior education in Madinah. One time Hazrat Umar Bin Abdul Aziz was late for prayers and was asked by his teacher the reason for being late. He replied that he was combing and arranging his hair and that caused him to be late. The teacher said, “You gave more importance to your hair than the time for prayer?” The teacher wrote about this incident to his father, who immediately sent a person from Egypt to Madinah. As soon as this person arrived in Madinah the first thing he did was cut off all the hair of Hazrat Umar Bin Abdul Aziz radiallaho ta’ala anhu because that was the order of his father. My Beloved Prophet sallalaho alaihe wasallam’s beloved devotees! A rejected one like shaitaan, who wears the curse of Allah Ta’ala, does not wish to be near a person that misses prayers. Just think how bad a person is that does not perform prayers, that an accursed one like shaitaan runs away from him. Therefore, My Beloved Prophet sallalaho alaihe wasallam’s beloved devotees! Create a yearning to prostrate and do not be miserly in respect of prayers, otherwise Allah Ta’ala will entrap us in the difficulties of both worlds, and no one will be able to save us. May Allah Ta’ala look at all with Benevolence and sincerely enable us to respect the rights of prayer. Aameen. May Allah Reward you for this blog. I will never miss my salat inshallah. Jazhakallah for your feedback and prayer. And do not write "Inshaallah" it means "Create Allah" Pls write it as "In Shaa Allah" which means "If Allah Wills".